The coming year marks the beginning of the implementation of a new local government regulation that would directly impact climb organizers and operators in the third highest mountain in the country. The local government of Kabayan in Benguet province will start requiring all organizers and operators with business operations within the Mt. Pulag National Park (MPNP) to secure a Mayor's Permit in 2019. The imminent execution of this policy follows a notice issued by MPNP on Dec. 2, 2018 and is in accordance with Kabayan Municipal Ordinance No. 118-17 and 123-18, which cover levy assessment, collection of fees and other impositions within the territorial jurisdiction of the municipality. To facilitate the processing and ease the burden on the part of the organizers and operators, Kabayan, in coordination with the Protected Area Superintendent (PASU) and MPNP, has marked January 5, 2019 (Saturday) as the day for all organizers to apply for the permit. 2. Micro-Industry 2 (Asset limit is PhP50,000.00 to PhP150,000.00) - PhP2,000.00. The said date would likewise serve as a venue for organizers and operators to make inquiries or seek clarification from municipal officials. Parties who would be unable to file their application on January 5, 2019 may secure the Mayor's Permit at the Business One-Stop Shop (BOSS), which will be set up and made available at the municipal grounds in Poblacion, Kabayan from January 3 to 18, 2019. Now on its fourth year, the annual environmental awareness beach camp happens on January 19-20, 2019 at the Pawikan Conservation Center (PCC) in Bataan. Organized by Climber, a Manila-based NGO armed with the mission to educate people in the responsible use of the outdoors, this eco-centric event is aimed at creating awareness on the condition and plight of the sea turtles, or the pawikan, as an endangered species. Since its inception in 2016, the Save the Sea Turtles event has proven itself as an instrument in educating its hundreds of participants, who get to have fun at the beach while being immersed in environmental endeavors. “Through the event, we have been able to engage people in understanding the sea turtles,” mused Fader, who is an avid outdoor enthusiast. “The success we achieved during the last three years allowed us to sustain the project and kept us motivated to pursue it,” enthused Ramon “Jay Z” Jorge, also a Climber officer who co-leads the event with Fader. He also added that their endeavor has been able to help PCC in its thrust to protect the sea turtles through education. PCC is a community-based organization whose purpose is to rescue, protect and propagate the sea turtles. It is located about 160km west of Manila in the Philippines. “Sea turtles play an important role in our marine ecosystem, but their number is dwindling due to human-initiated causes, such as illegal trade of meat, eggs and shell, not to mention entanglement and ingestion of trash,” stressed Fader. Five major types of sea turtles (olive ridley, loggerhead, hawksbill, green and leather back) are found in Philippine seas. The center’s objective is to increase their number by protecting freshly laid eggs from harm and bringing them into the hatchery facility. “Highlights of the two-day, overnight event would be an experience for participants to be part of the sea turtle night watchers and the release of baby sea turtles into the open seas,” according to Jay Z. He noted that these two events are the most highly anticipated parts of the event. However, he was quick to stress that, “We cannot guarantee that all participants would be able to release baby sea turtles on January 19-20, 2019 because it is contingent on the number of eggs that would hatch or the number of baby sea turtles ready for release on said dates. Other activities that participants would get to enjoy include beach camp setup, setting of expectations, a Leave No Trace Awareness Workshop, sunset viewing, and a lecture on sea turtle conservation and protection. Capping the event would be the closing and awarding ceremony. As part of the team’s adherence to and practice of the Leave No Trace principles, all participants are advised to bring packed lunch on Day 1 and bring easy-to-prepare meals. Further, to avoid adding burden to the PCC’s personnel, all participants must pack in, pack out all trash. The basic mantra in responsible outdoor activities would be at work during the two-day event: Bring your trash after the activity. The event costs Php1,800, which includes round-trip van/bus transportation, instructors’ fee, event certificate, camping fee, use of facilities, sea turtle night patrol, release of one (1) sea turtle (subject to availability). “Providing the participants with an overview on sea turtles would create awareness, but our fervent hope is to translate that awareness into actions,” concluded Fader. A growing news network in Southern Tagalog has taken a huge stride to bring Leave No Trace (LNT) to Mt. Malindig as part of its objective to create environmental awareness towards protecting the 1157-meter mountain. Marinduque News Network (MNN) has forged a collaboration with MisterLNT.ph to conduct an LNT Awareness Workshop (LNTAW) for the stakeholders of Mt. Malindig, a dormant volcano standing proudly on the southern tip of the island province of Marinduque in the Philippines. The heart-shape island province is part of Mimaropa administrative region, formerly Region IV-B. Held at the jump off point of Mt. Malindig at barangay Sihi in Buenavista, Marinduque, the half-day workshop saw the participation of mountain guides, barangay officials, as well as other outdoor enthusiasts in the area. “The project is our way of providing education that would create awareness, allowing the participants to be cognizant of the impacts created when climbing Mt. Malindig,” stressed Myong. The LNT workshop was a pivotal step towards that objective. 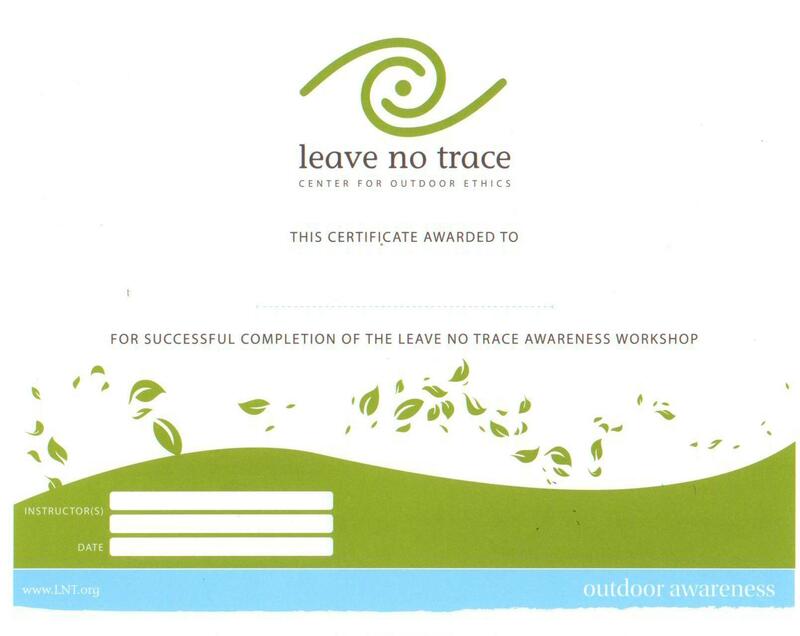 During the half-day learning session, the participants were introduced to the seven principles of Leave No Trace, a set of guidelines developed to minimize impacts to the environment while enjoying the outdoors. Highlights of the learning session included experiential activities demonstrating each of the seven principles. The interactive format provided the participants a venue to share their actual outdoor experiences, setting the mood for a fun and intensely engaging discussion. When asked if it is possible to successfully complete a Mt. Malindig climb without picking wild fruits and flower, chief guide Roger Manoy affirmatively said, “Yes, it is totally possible.” As learned by the group, LNT principle #4 (Leave what you find) discourages this unnecessary and avoidable habit because it negatively impacts wildlife. “We must not bring home anything from Mt. Malindig.” Roger concluded. "I would now be mindful of my every move in the outdoors,” enthused Janelyn Mataac, a participant who is into hiking and mountain climbing. She mused, “I need to make sure I reduce the impacts I create when I go outdoors,"
On hand and present during the activity was Barangay Chairman Dante Marinduque, who expressed his gratitude for bringing LNT to Mt. Malindig. “We are thankful to MNN and MisterLNT.ph for this learning opportunity,” he said, adding that, “We hope the learning and awareness translate into actions." Conceptualized as a personal advocacy, MisterLNT.ph endeavors to promote responsible mountaineering in the Philippines through Leave No Trace (LNT), a set of guidelines developed by US-based Leave No Trace Center for Outdoor Ethics aimed at minimizing impacts to the environment. Fundamental to this worthy environment-centric endeavor is the dissemination and promotion of LNT principles across the Philippines to create awareness and consciousness amongst Filipino outdoor enthusiasts. The driving force behind MisterLNT.ph is Lito De Veterbo, a Manila-based mountaineer and a US-trained Leave No Trace Master Educator. ​ MisterLNT.ph is supported by Deuter, Lighthouse Marina Resort Subic. Majemah Travel and Tours, and Sobrepena-Virtudazo CPAs. c. Outdoor enthusiasts, including but not limited to mountaineers, runners, rock climbers, etc.